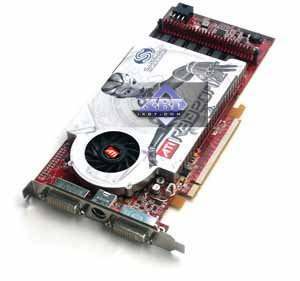 This GPU is presented by the reference card ATI RADEON X1900 GT 256MB DDR3 (575/1200 MHz) PCI-E. Peak fill rate in the multitexturing mode is 20700 megapixels/sec and 6900 megatexels/sec. By the end of the month the product costs $320-350, supports DirectX 9.0c. This is ATI's newest middle-end solution. On November 15, 2006 the latest drivers from ATI were CATALYST 6.11 for Windows XP.